A visit to India is at the top of many traveler’s lifetime bucket lists. The sights, the smells, the food, the history, so much to offer in one beautiful country. A visit to this mythical land of wonder would not be complete without visiting the far reaches of Dharamshala. Kissed by snow capped peaks and dripping with ancient history. This in fact is the home of the Dalai Lama. With so much to do, we narrowed down 5 things you cannot miss in Dharamshala. Feeling free like a bird whilst soaring high in the sky’s, is a feeling like no other. With nothing below you but awe-inspiring scenery and a blast of wind, this is sure to be a memory to last a lifetime. This part of India is perfect with it’s hilly landscape and easy access to peaks, you will get the impression anything is possible. With many operators offing up different deals, ensure to check for reviews from other travelers about safety and satisfaction. If you are not already a tea drinker, by the time you get back from India you will be. With some of the highest consumption of tea on planet earth, you are sure to get lured in with something you’ll love. A massive amount of tea in grown in India for both local and export uses. Here in the valley you can enjoy a tea-garden tour that is sure to impress both mind and mouth. Indian food is known the world over, you can get a curry on the menu in almost any country, though you know it’s going to be better in India. Check out the market areas like the Kotwali Bazaar, for amazing local favorites. Or step into a known insiders favorite like the Shiva café. It might even be within walking distance of one of your hotels in Dharamshala. The whole area is a melting pot for single or multi-day trekking. 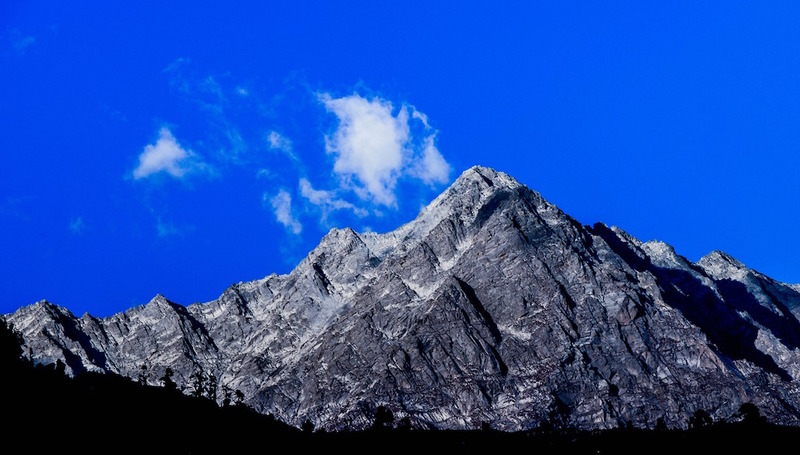 One of the most popular treks is a two-day, three-night trek called the Triund-Thatril-Trek. You’ll spend the first day walking to Triund, then spend the night there. The following day will take you to the breath-taking village of Thatri where you’ll camp at the Himalayan Nest. Then finally bringing you to Broadhead near Dharamshala. What an adventure it will be. You can’t possible go to the home city of the Dalai Lama and not visit the Lama Temple. Located in McLeod Ganj, it’s a very welcome environment with a host of Buddhist statues and a number of ancient scripts. Ask at any one of the hotels in Dharamshala and they will know exactly where to send you. Everyone of your senses will be tested and delighted with a trip to India. Keep in mind, it’s a large country so choose your locations accordingly. Wherever you go, make the wonderful area around Dharamshala a must-see stop. With so much to do, you’ll wish you’d have more time to stay.